It’s OFFICIAL now! Ukulele will be featured regularly at Maine Fiddle Camp. 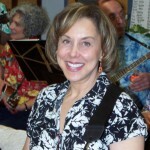 For the past several years, ukuleles have been very prevalent at Camp (see this video of a “barn dance” where ukes are “all over” the final foxtrot! ), so much so that we are now going to make a big deal about it.